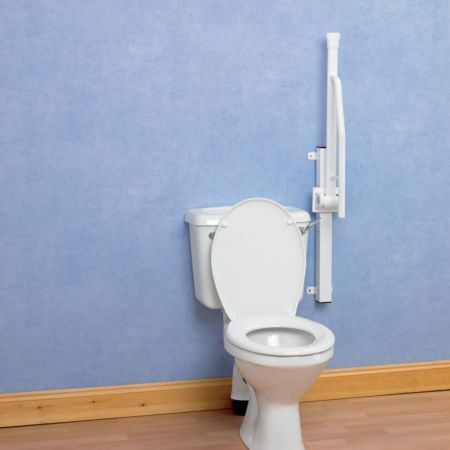 Our Devon support rail has been manufactured from light yet strong aluminium, the elliptical arms provide the user with the ultimate comfort and grip, whilst lowering to or rising from the toilet. 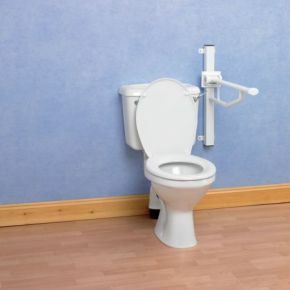 The support arms can be raised and will remain in the vertical position with the locking mechanism securing it in place. The arms are then easily lifted to release from the lock, which activates the spring mechanism that supports the weight of the rails as it lowers smoothly to the horizontal position. Height Adjustment 240mm (9 1/2") in 60mm increments.